The Institute of Nuclear & Radiological Sciences and Technology, Energy & Safety (INRASTES) is the largest Institute of the National Centre for Scientific Research “Demokritos” (NCSR “D”) in terms of infrastructure and the second largest in terms of number of personnel. INRASTES has been established in April 2012 as the result of a merger between the former Institute of Nuclear Technology & Radiation Protection and the former Institute of Radioisotopes & Radiodiagnostic Products (INT-RP & IRRP, respectively). In fact, INT-RP, an interdisciplinary Institute with a large part of its scientific activities centered around Nuclear Technology, Energy / Environmental Technologies and Radiation Protection, was merged with IRRP, also an interdisciplinary Institute with a focus on Molecular Radiopharmacy and Biodiagnostics. The new entity is a multidisciplinary research Institution pursuing basic, translational and applied research to address challenges of great scientific and socioeconomic impact in a broad spectrum of scientific and technological fields. With its highly qualified staff and large scale, unique nationwide facilities, INRASTES satisfies the necessary conditions and possesses the potential to achieve critical masses and direct synergies among the various labs and research groups under wide thematic areas creating significant growth prospects and bringing clear socio-economic benefits. INRASTES has a proven research potential (awarded the largest FP7-REGPOT ENTEC for climate research) both in terms of highly qualified personnel and infrastructures. It is the sole research institute in the country with an integrated R&D approach to environmental and climate contributing to environmental protection and sustainable development in regional and global terms. INRASTES within the core activities of the Energy/Environmental Technologies & Safety thematic area has setup a long term goal to establish a Research Reference Facility for Critical Infrastructure Protection (RRFCIP), in order to provide a unique in the country test-bed facility in the field of Critical Infrastructure Protection. It will setup an environment where industrial (and SME) partners will interact with both R&D entities and emergency responders / operators to catalyze the transformation of CIP related research into highly innovative products and services. Also there is considerable expertise in Risk assessment of interconnected and interdependent heterogeneous critical infrastructures from multiple threats including malevolent acts, technological accidents and natural hazards (FP7 225594 – STAR-TRANS). In the field of the Air Quality and Climate Change INRASTES the general aim is the production of scientific know-how and innovative tools for research and provision of services in the fields of environment and energy. INRASTES is equipped with modern facilities for air pollution and gas sorption measurements and powerful computing equipment, providing high-level services in a wide range of issues related to environment and energy (atmospheric modelling, environmental impact assessment, nanoporous materials characterization, gas storage). INRASTES has strong experience in the evaluation of climate change using global climatic models; dynamic downscaling from global to regional / local scale, in order to assess the environmental (e.g. air quality, land cover), social and economic effects of climate change in the area of Greece and Eastern Mediterranean and the development and maintenance of state-of-the-art software for simulating atmospheric dispersion and transformations of air pollutants (photochemical, radioactive) in complex terrains from local to regional scales, and for diagnostic and prognostic meteorology. The Fraunhofer Institute for Transportation and Infrastructure Systems IVI in Dresden employs more than 80 research fellows in four departments and two research groups in cooperation with TU Dresden and TU Bergakademie Freiberg. The institute is operating in a wide array of transport-related research and development topics, ranging from the fields of electromobility, traffic planning and traffic ecology, traffic information, vehicle propulsion and sensor technologies, but while also incorporating traffic telematics, the information and communication sectors, as well as disposition and logistics. Special attention for Fraunhofer IVI has been raised by its electronic ticketing application, its mobile public transport navigation solution SMART-WAY, and its cross-border disaster protection system. Recently, especially the 30,7 m long AutoTram® Extra Grand – the world’s longest bus – equipped with hybrid propulsion technology and an electronic multi-axle steering system, has been the focus of attention. Fraunhofer IVI’s facilities and large equipment include high-performance laboratories, innovative test platforms and vehicles as well as modern hardware and software. In 2013, the institute’s research infrastructure was expanded by a new technical center including a vehicle hall and an adjacent test track. The Norwegian Meteorological Institute (MET Norway) was founded in 1866. Today MET Norway has approximately 500 employees. The main office is in Oslo and there are regional offices in Tromsø and Bergen. Its basic mission is to contribute to the protection of life and property. MET Norway provides public meteorological services for both civil and military purposes. The main core R&D activities of MET Norway are: Developing and improving operational models for atmospheric, oceanic and ice forecasting as well as for environmental emergency services, and climate research. MET Norway has a long record of participation in international programs, and contribute to educating Ph.Ds and Post-docs on a regular basis thanks to its close collaboration with (and proximity to) the University of Oslo. Norway is a member of the World Meteorological Organization (WMO), the European Centre for Medium Range Weather Forecasts (ECMWF), and the European Organization for the Exploitation of Meteorological Satellites (EUMETSAT). The institute is actively involved in the work of these organisations. In the proposed project, MET Norway is interested in climate and weather extremes. with key research areas in sustainability, risk-based decision support systems, data mining, simulation and optimisation. The Centre has links with leading academic groups around the world, including those in Europe, Asia, Australasia and Americas. Artelia is an independent engineering, project management and consulting group that operates in the following nine markets: building construction, water, energy, environment, industry, maritime, multi-site projects, transportation and urban development. Artelia provides services to private clients (industrial groups, developers, investors, building contractors, banks, insurance companies, etc.) as well as to public clients (government departments, local authorities, public bodies, international funding agencies, etc.). The structure of Artelia has been designed to conduct efficient management of major projects and provide relevant solutions to highly technical questions, while delivering quality services to its clients at local level. The group is engaged in a proactive research and innovation policy. Artelia has a regional network of 42 offices in France and an international network of 53 offices in 37 countries. In 2014, the group’s consolidated turnover amounted to €366 million. It has a permanent staff of more than 3350 employees. The share of turnover related to international business is 30%, which includes the export activity of teams based in France and operations directly managed by the international subsidiaries. The group, whose profitability has always been good, is continuously expanding. Artelia pursues and implements ambitious policies related to sustainable development, ethics and social responsibility, both in terms of its corporate behaviour and in the way it conducts its project assignments. More than 95% of the group’s capital is held by 500 managers and by 1400 staff members via an employee shareholding plan. Artelia applies extremely rigorous procedures concerning QHSE (quality, health, safety and the environment) and risk management. The integrated management system, SMART, has allowed for the ISO 9001, ISO 14001 and ISO 8001 certifications of the group’s sites and entities to be confirmed or extended. Satways Ltd. is founded in May 2006 and is based in Athens, Greece. The company is dedicated to develop integrated Geospatial command and control solutions for Security and Public Safety applications for police, coast guard, emergency medical service, civil protection and fire & rescue operations, critical public infrastructure protection, transportation security and border monitoring. With core technology built on open standards, Satways offers a range of mission critical enterprise solutions empowering governments and businesses around the world to make better and faster operational decisions. Its product line includes C2 and C3I enterprise software packages namely the Atlantis, AutoTrack, ENGAGE, ORASYS and S.A.F.E.R. that respond to different operational requirements of Public Safety Agencies such as Distributed Geospatial Data management, Operational Resources Tracking, Incident Management and dispatch, Physical Security Information Management and Natural & Technological Hazards Crisis Management respectively. The common goal though, is to provide effective decision support, to simplify operations, to provide a Common Operational Picture (COP) and collaboration tools across organizations, to collect and disseminate data in the field and to coordinate response units and system users. EPLFM is a government organization, coordinating the efforts of the 14 departments most affected by natural hazards of the South of France covering 4 regions: Provence Alpes Côte d’Azur, Languedoc-Roussillon, Corsica, and Rhône-Alpes. The CEREN, was officially created on May 16, 1979 as the Test and Research Center of the ENTENTE, it is in charge of carrying out all the necessary tests in the area of Civil Protection, for the implementation of new systems and for their efficiency evaluation . These tests and experiments can be directly ordered either by the Entente/CEREN, by the Directorate of Defence and Civil Protection or by other Government Organisations. CEREN mostly deals with applied research, which is directly useful for Civil Protection users. The CEREN also collaborates with many researchers, industrial companies and users at a national and international level. It is in this context that we have initiated and participated in many European Research and Development programs. Since the FP7 call, CEREN has been involved in many Security project (SGL, ESS, E-SPONDER and INDIGO). CEREN has developed several crisis management scenario in real conditions (SEVESO plant threatened by a forest fire, Hazmat transport accident, river pollution, toxic cloud dispersion towards a town, population confinement due to a flood, destruction of a part of a town caused by an earthquake, bomb explosion within a city) in close collaboration with local and national authorities. RINA Consulting is the largest fully independent Italian firm providing consulting & engineering services to Clients belonging both to the public and the private sector. The company operates in the markets of Energy, Transport and Infrastructures, Industry and Investor Support. With a staff of about 700 engineers, scientists and associated professionals located in 20 offices worldwide, RINA Consulting offers high-end services to investors, promoters, operators and contractors, as well as to insurers and public administrations, to support their initiatives. All RINA Consulting services are performed at the highest professional level, understanding and complying with Client’s needs and requirements while taking into due consideration sustainability and health, safety and environmental targets. RINA Consulting is a team of engineers, consultants, designers, planners and specialists supporting public and private clients from concept to decommissioning, through consultancy, design, management, operation and maintenance. The company provides a wide range of services covering the whole project life cycle from feasibility and specialized technical studies to conceptual and detailed design, prototyping and testing, project management, site engineering as well as operation and maintenance management. Innovation is a key element in all our projects; RINA Consulting has over twenty years experience in helping its clients in developing their new products and services as well as managing their collaborative innovation processes. Meteorological and Hydrological Service of Croatia (DHMZ) is a governmental scientific and technical organization established by the Government of the Republic of Croatia as the central state organization in the fields of meteorology, climatology and hydrology. DHMZ is responsible for: measurements and monitoring of meteorological and hydrological parameters and phenomena, data management, archiving and dissemination of data, products and information; analysis and forecast of atmospheric conditions and phenomena; climate change and related phenomena; transport and deposition of air pollutants; severe weather forecasts and emergency response activities; analysis, research and development of meteorological products and services for the public, governmental bodies and specific users; national and international exchange of data and information; international cooperation in the field of meteorology, climatology, hydrology and air pollution. DHMZ is responsible for international work, cooperation and implementation of international programmes in Croatia related to its core activities. 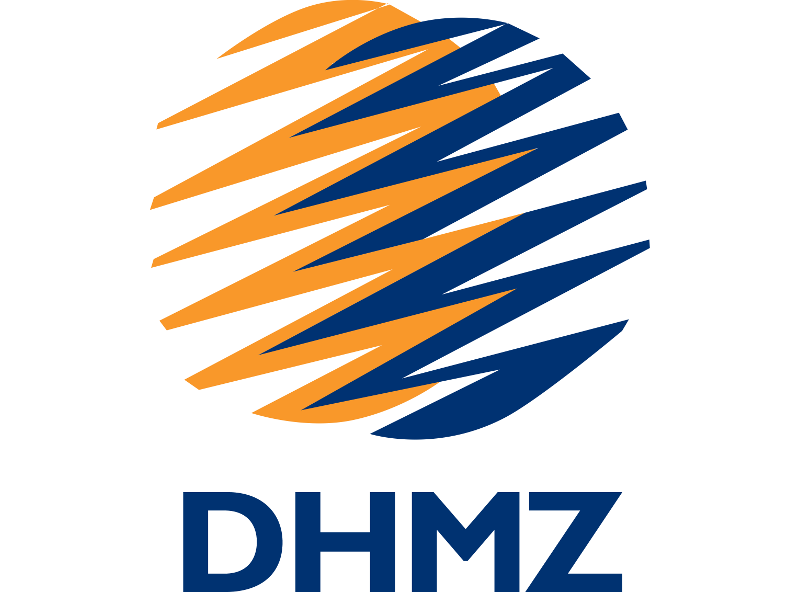 DHMZ has a long experience of interactions with stakeholders, through the production of research results, directly usable for the implementation of public policies. 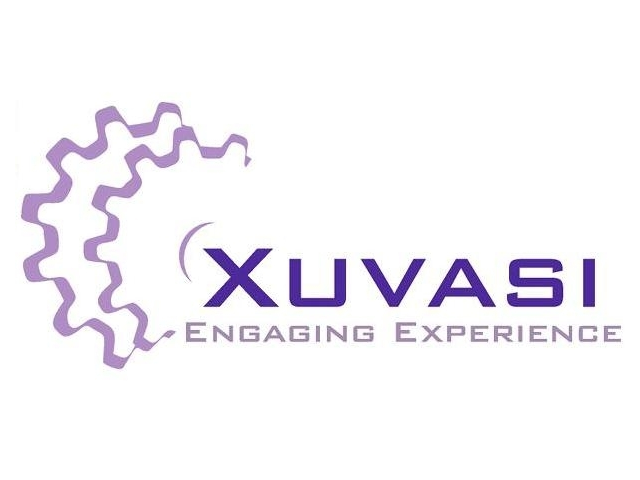 Xuvasi Ltd (Xuvasi) is a bespoke Research and Development organisation that provides technology-led concepts, strategy, components, and system-level solutions to clients across a wide range of industries. Leveraging emerging technologies to deliver maximum innovation and upstream client benefit, we deliver innovative, interoperable, and pragmatic solutions to real-world challenges. Xuvasi’s primary areas of expertise encompass urban security planning, port and maritime security, healthcare, threat analysis, risk and insurance, critical (national) infrastructure, C3 systems, and public safety during large-scale events. The Xuvasi approach is, however, inspired by Systems Thinking: considering not only the specific verticals within a problem but also exploring the near real time causal mesh of dependencies and unintended consequences that pervade, and that are oftentimes hidden within, the problem. In the context of EU-CIRCLE, Xuvasi is responsible for the application and extension of it’s Cascade engine in relation to the development of SimICI: a virtual platform for the representation, analysis, and exploration of real-world critical infrastructures. Xuvasi Cascade provides insight into complex interdependent systems through the integration of fast data, simulation, systems representation, and other software services. Xuvasi also contributes to the development of the EU-CIRCLE CIRP platform for analysis. MRK Management Consultants GmbH has been a successful target-oriented management consultancy since 1971. Our wide-ranging portfolio of completed projects have included those in the fields of transport, energy, telecommunication & networks, infrastructure and automotive. Innovative, financially feasible solutions build the center of our consultancy services. MRK has Employees with a degree in Business Economics, Engineering, National Economics, Computer Science, Mathematics, Lawyers, Business Administrators, Consultants, Project Managers and other Experts. Our clients are national and international companies and institutions, local communities, authorities, transport associations and ministries. MRK supports its clients by creating innovative solutions and plays an active part in the implementation of all technical, organisational, economical and informational matters in your change process. In Munich is the Headquarter and our Subsidiaries are in Stuttgart, Munich, Luxembourg, Prague and Dresden. European University Cyprus (EUC) developed out of Cyprus College, which was founded in 1961 by Ioannis Gregoriou, with the aim of providing students in Cyprus with well-rounded programmes of study combining academic and practical knowledge Today EUC is a modern university, operating five Schools, namely, the School of Arts and Education Sciences, the School of Business Administration, the School of Humanities and Social Sciences, the School of Sciences, and the Medical School. All undergraduate and postgraduate programmes offered by EUC are recognised nationally and internationally. The mission of the university is to educate our students for successful careers and life achievement, to understand and serve the needs of our society, and to create knowledge through research and innovation. The University also serves as the national representative for the prestigious International Social Survey Program (ISSP), the World Economic Forum, and as the official administrator in Cyprus of World Bank publications. European University Cyprus belongs to Laureate International Universities, a US-based worldwide network of institutions of higher education founded in 1998. With a membership of over 80 accredited campus-based and online institutions in 29 countries throughout the Americas, Europe, Asia, Africa and the Middle East, the network encompasses more than 150 individual campuses and over 950,000 students worldwide. The Centre for Risk, Safety and the Environment (CERISE) at EUC (Nicosia, Cyprus) has been established to advance a richer understanding of the nature of risk, particularly in the fields of occupational, industrial, natural and environmental hazards. CERISE is a multi-disciplinary research group with competencies across mathematical modelling, social and behavioural psychology, climate change and other environmental stressors, and in the understanding of the perils and processes that drive individual threats, and the implementation of risk reduction strategies. CERISE aims to develop novel methods in the analysis of risk and to assist individuals and organisations to improve the quality of their decision-making so as to effectively manage risk and uncertainty; particularly in relation to risks of low probability and high consequence e.g. natural disasters, industrial accidents, et cetera. 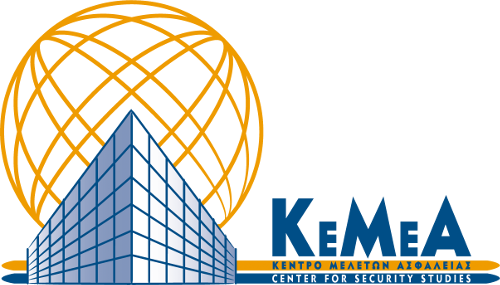 The Center for Security Studies (KEMEA) has been established as the Greek Ministry of Interior and Administrative Reconstruction (former Public Order & Citizen Protection) think tank on security policies. 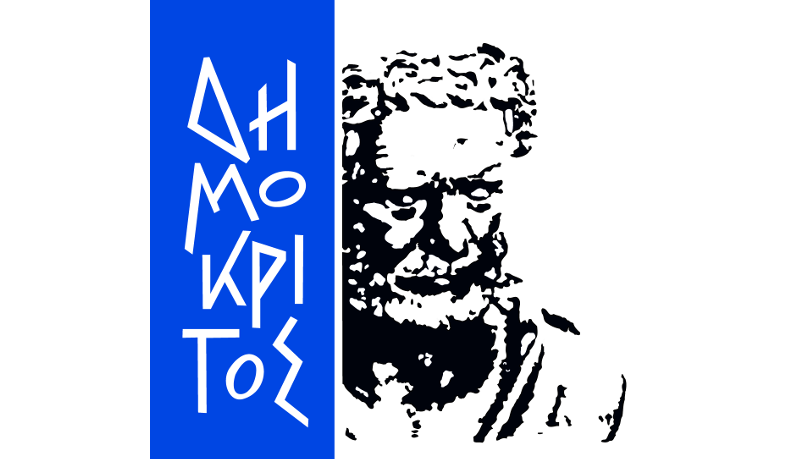 It provides advisory and consulting services to the Ministry and other Public and Private authorities on relevant issues and support the exchange of knowledge and the transfer of technology between the Greek public Services responsible for Law Enforcement and Civil Protection and the respective European stakeholders. The placement of KEMEA in the European landscape of security is highlighted by representing the Greek Government to the European Research and Innovation Forum (ESRIF) of the European Commission as well as by its membership to the Board of Directors of the European Organization for Security (EOS). Furthermore KEMEA has been appointed since 2011 (Presidential Decree No39/06.05.2011) as the “National Contact Point” for the protection of ECIs (“EPCIP contact point”) of Directive 2008/114/EC of the Council of December 8th 2008 “regarding the definition and designation of the European Critical infrastructures and the assessment of the need to improve the protection of such infrastructures”. Finally KEMEA is in charge of certifying the private security personnel in order to provide professional services in Greece. 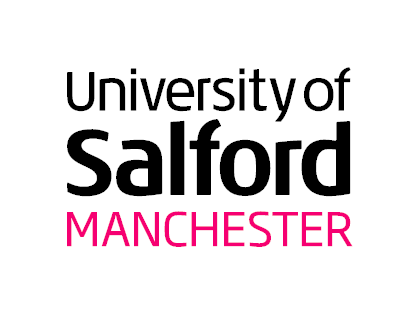 University of Salford (USAL) is a well-established institution with state of the art facilities for research. According to a recent international league table, USAL has been ranked as one of the top universities in the world for the subject of Architecture and Built Environment. The School of the Built Environment of USAL continued its leading position in the QS World Ranking list of the world’s top 50 universities, after the prestigious international university rankings organisation Quacquarelli Symonds (QS) placed the School 39th in the World and 4th in the UK. The rankings highlight the world’s top universities in 36 individual subjects based on academic reputation and research impact. USAL is very experienced of conducting large research projects. For instance, between 1996 and 2009, it completed over £60M of funded research including major EU research projects and networks. USAL’s Centre for Disaster Resilience (CDR) conducts funded projects that research into developing societal resilience to disasters and disruptive events caused by hazards. It is a leading Centre in the UK promoting multidisciplinary nature of the management of societal challenges and undertakes cooperative research with a large number of international partners. CDR has extensive experience in working in the South Asian Region having well established links with Sri Lanka, Bangladesh, Malaysia and Thailand, particularly in the areas of disaster management, critical infrastructure, adaptation and resilience. It currently leads international projects with several international partners. CDR works quite closely with the THINKlab at USAL as part of the visualisation platform for disaster resilience. THINKlab is a futuristic and spacious research environment with state-of-the-art facilities. The space facilitates research related to Information and Communication Technologies, providing answers to challenges faced by industry, commerce and the community. The National Protection and Rescue Directorate is an independent, professional and administrative organisation, tasked with preparing plans and managing operational forces as well as co-ordinating the activities of all participants in the protection and rescue system. The basic tasks of the National Protection and Rescue Directorate are stipulated by the Law on protection and rescue. The most important tasks are risk and vulnerability assessment, drafting measures aimed at preventing crises and accidents, ensuring that these measures are implemented, and effective emergency management in case of major disasters. ADITESS is a Cyprus-based Small Medium Enterprise (SME) established in 2011. ADITESS is a scientific, consulting and research company whose purpose is to conduct theoretical and applied research and to produce studies, in strategic and in tactical level, on issues concerning Security policies, Critical Infrastructure Protection, Transportation and Cargo Security and Border Management and to develop state of the art applied Security Solutions at the above mentioned areas. ADITESS has the ability to provide advisory and consulting services to various Government Organizations and other Public and Private authorities on these same issues. Our staff composed of dedicated and experienced professionals who have outstanding professional and academic experience in the area of Homeland Security, and have been involved in EU Research Programmes as well as national and international projects for several years in the same area. ADITESS members decided to join their complementary skills in order to offer a large portfolio of services and support activities as well as technical expertise in both R&D and commercial activities. Our business philosophy is to adhere to the needs and requirements of our clients, providing high quality customer satisfaction, leading to a loyal and expanding customer following. ADITESS goal is to fully support our Clients to identify their specific needs, plan, implement and deliver project successfully. We intend to work closely with its Client providing a complete range of project delivery services and expert advice throughout the project life cycle. Torbay Council is a Unitary Authority which covers the towns of Torquay, Paignton and Brixham in the UK. We deliver over 700 services to more than 130,000 residents and the many visitors who come to the Bay every year. The Council’s Engineering Section have a vast experience in the design and maintenance of drainage, structures, urban design and specialist services which includes coastal defences, landfill sites and cliffs.Within the drainage team we undertake all our own hydraulic modelling using Infoworks ICM. We are well known across the UK for our expertise in flooding and we sit on a number of national bodies/committees including representing all local authorities on the CIWEM Urban Drainage Group Committee. We have strong links with other national bodies including the Environment Agency and DEFRA. In addition we are involved with a number of Universities on research and development projects including Exeter University and Imperial College. Hellenic National Meteorological Service (HNMS), which was founded in 1931, has as its mission to provide meteorological support to National Defence, National Economy and Safety of life and property. It disseminates weather information to the public (forecasts and warnings), governmental organisations and civil protection, aiming at the safety of aviation and shipping, the economical growth and a sustainable environment. In parallel, over the past years, HNMS conducts research on meteorology and climate participating in a variety of projects funded by national or/and EU resources. HNMS has been independently audited and certified to be in conformance with ISO 9001: 2008 by DQS Hellas and applies a Quality Management System in line with the above Standard for the Provision of Aeronautical Meteorological support, meteorological observations, production and provision of forecasting products and aeronautical briefing. University of Applied Science Velika Gorica is a higher education institution founded in 2003. The University started its operations by launching courses for several deficit professions and by adjusting to the needs of modern society in an innovative way. The mission of the University is development, continued modernization and implementation of courses, specialized graduate courses, life-long learning programs and realization of professional and scientific activities in the areas of crisis management, optometry, information technologies, motor vehicle maintenance and aircraft engineering. University’s vision is to become a renowned and technologically contemporary educational institution with unique courses in the Republic of Croatia and its surroundings. By providing Crisis Management undergraduate and graduate programmes and short specialized courses, University became national and regional center of higher and lifelong education and Center of Excellence in field of Crisis/Disaster Management. Higher Education Best University Workplace and topped the tables in all four main categories in a survey carried out amongst staff in higher education across the country. Please visit here for the research carried out by HUD and read more about the GDRC research centre. awareness and commitment for sustainable development practices that will reduce disaster risk and increase the wellbeing and safety of citizens. Members of GDRC have published collectively more than 150 journal papers in the field and generated more than £3 million in research income. GDRC has led a large number of research capacity building programmes at a large number of international HEIs focusing on: establishing, improving and sustaining research capability and capacity; developing comprehensive and robust plans and sets of activities to support Early Career Researchers and improve mentoring of staff, and supervisory capabilities; supporting the development of research skills; and, promoting international agenda including research collaborations.